As you can see in today’s post, I’m featuring THE cutest little summer dress by one of my favorite, ultra girly-girl brands: Show Me Your Mumu. Seriously, this brand is absolute perfection and if you’re a sucker for bold and bright prints (that basically scream “let’s vacation! !”) then you muuuuust check Mumu out! (I also recommend reading their “about” page because it is the most adorable thing you’ve ever read/seen…the copywriter in me kind of died inside when I read it…it’s SO stinkin’ adorable!). Ps. 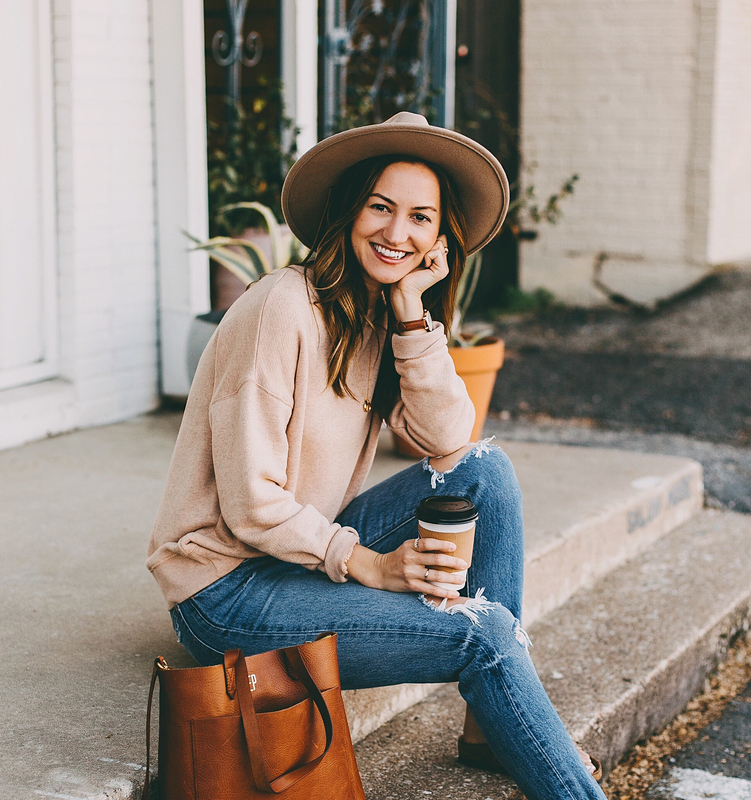 You’ll want to follow me on Instagram because tonight I’m co-hosting a fab giveaway with Mumu and some of my favorite bloggers (honestly, love each of these blog accounts dearly! )…so follow along and stay tuned for that! I will admit that it is a very tough thing to narrow down your shopping cart selections on the Mumu website, but after mulling over a few different options, I finally made my decision and scooped up this gorgeous palm printed ‘Circus Mini Dress‘ and this crazy-cute tribal print ‘Peta Tunic‘ that I wore all over Costa Rica last week. One of the things I adore most about Show Me Your Mumu pieces are that they are pretty much wrinkle-free…even after you ball them up and stuff them into your suitcase (seriously, I am OCD when it comes to wrinkles on my clothes, so this is the best perk ever). Which means they’re perfect for a summer getaway (or for a trip to your local pool/date night/you name it, this look is definite do). I paired my dress with the cutest beach tote (such a great size! ), my favorite gladiator sandals (currently on super sale, get them quick, they’re so comfy and adorable! ), cat eye sunnies (my go-to’s as y’all have probably gathered by now.. 😉 ), and the prettiest tassel necklace by Kendra Scott. Viola, summer outfit perfection! That’s a wrap for me – don’t forget to follow my Instagram feed and enter to win the big Mumu giveaway headed your way tonight! 😉 Shop this look below – XO! 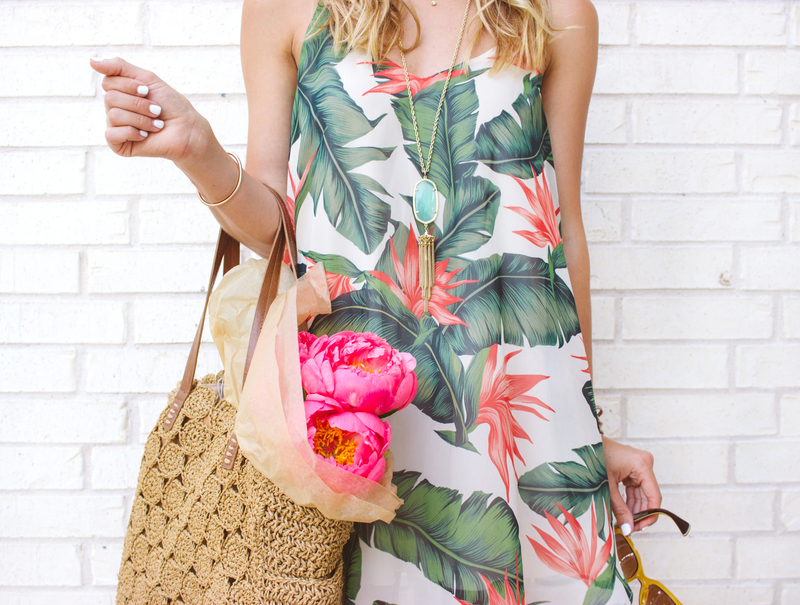 I’m loving this palm print! Too pretty! Gorgeous as ever.You look so chic.I really love the style.